When Canada’s national newspaper wanted to improve its telesales effort, the team decided to launch a research initiative. Read on to learn how the newspaper and its research partner analyzed call center vendor performance, identified the best times to call and optimized the messaging of those calls. The Globe is Canada's most widely read newspaper on weekdays and Saturdays. Its customers are upscale professionals, owners, entrepreneurs and influence makers. The majority of its subscribers are in urban areas. “We also have a very large business audience. Our household income is over the Canadian average. So it's an upscale, informed, educated audience,” said Andrea Greer, Manager, Print Subscription Sales, The Globe and Mail. One of the newspaper’s goals is to acquire new print starts. Telesales generated 25% of total sales but over time the cost-per-acquisition increased. So the team wanted to make changes to the channel that would allow them to continue to use it and minimize cost. “We've been using telemarketing for years. I've been at The Globe for 10 years and they were using it long before that. No one had the time to actually go through and do a deep dive of how well our telesales channel was doing,” Greer said. The Globe uses two external telemarketing vendors, which makes reporting and data consolidation challenging. Every program review session with the vendors, Andrea and her team could only focus on conducting top-level analysis of the results to propose quick fixes for the upcoming months. The problem was that they did not know where to begin or what to do with all the reports the two vendors kept sending them. They wanted vendors to improve sales per hour on their own, but the vendors did not have a plan to achieve this objective. That’s why The Globe decided to hire a research partner to investigate the current telemarketing performance, identify opportunities for improvements with each vendor and ultimately help to increase the channel’s profitability. The analysis considered two types of data sets in order to have a clear understanding not only of current vendor performance, but more importantly profitability. For The Globe, like most newspapers, the profits do not come from the initial sale but from keeping subscribers active for a specific number of weeks. 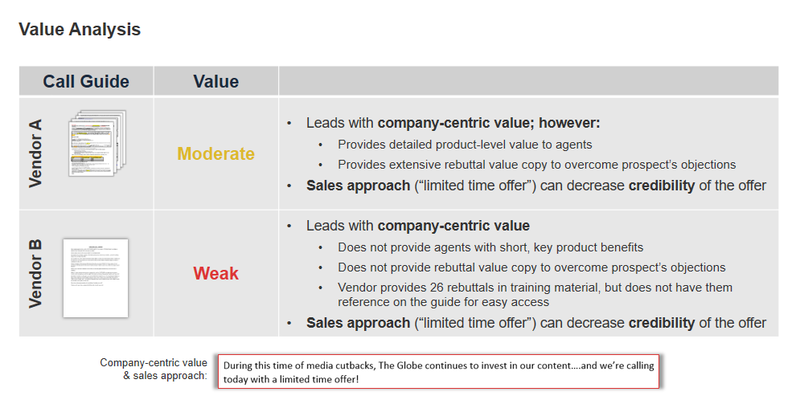 Based on a four-year period, the research partner developed a revenue lifetime value model for The Globe that provided clear break-even points by vendor and newspaper delivery type. This analysis included better understanding revenue the newspaper was getting from these sales and looking at the potential of getting more sales and the most cost-efficient way of getting to those sales. Once funnels were mapped out for each vendor, it was very evident where leaks were happening. 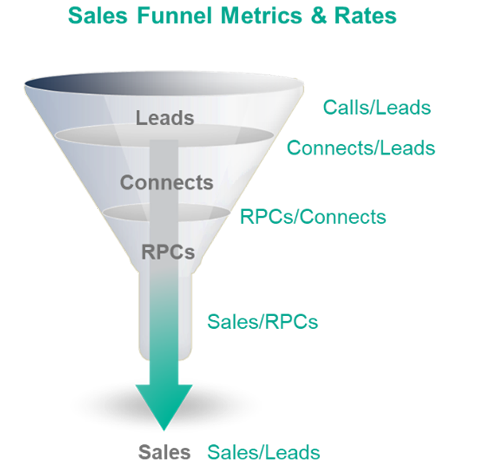 The funnel analysis showed that vendor A generated three times more connected calls than vendor B (higher volume of calls at the top of the funnel). However, vendor B had 80% more success at right party connect (RPC) and closing a sale. In other words, while vendor A had more sales overall, vendor B contributed fewer sales but was more successful at the calls it did make. This discovery meant that vendor A had opportunities to improve lead quality, whereas vendor B had opportunities to increase the quantity of calls. 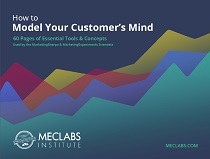 In summary, by understanding the sales funnel and lifetime revenue stream of each vendor, the research partner discovered which vendor activities were truly profitable and which were generating subscribers but not profit. In the case of the telesales channel, its success strongly depends on the quality of the phone agent. At the end, it all comes down to the skills and product knowledge of the agent to increase the chances of getting a sale. Sometimes, a good incentive can help, but in the long run the quality of the agent will guarantee a strong and steady revenue flow. “You're relying on agents to actually understand the product and know the product, and that's a key factor to any sales that you get,” Greer said. That is why the research partner also conducted a qualitative analysis of the call guides, call recordings and training documentation along with conducting focus groups with phone agents. Focus group sessions revealed that only a few agents knew the different sections of the paper well along with the unique sections for each region. The training material lacked meaningful product information. Vendors had good processes in place to test and measure agents’ learning progress, but the information they learned was more focused on The Globe as a company, not as product and benefits it provides to subscribers. The review of the call guides and recordings showed the agents were placing more emphasis on the offer (incentive/discount) rather than on the product. “In terms of the value proposition, it was not a good value prop script to get people to sign up,” Greer said. The offer was presented using daily prices, but subscription fees are charged using a four-week billing cycle (for 13 total billing cycles in a year). That left a good portion of callers uneasy and unsure of the validity of the offer. For example, one vendor didn't use rebuttals effectively, didn't talk much about the product and instead used sales tactics on price that created more confusion than help. “They threw everything in there, per week, per month, whatever,” Greer said. For the analysis of the call guides, the research partner reviewed them used a patented conversion probability methodology to analyze the effectiveness of the messaging and identify areas of opportunity for improvement. For example, the below images show an analysis of the value proposition and friction of the messaging. Instead of simply enacting changes, the research partner set up an experiment to test a hypothesis derived from these insights against the current process. To set up a clean A/B test, the research partner conducted testing with only one vendor. The original script the vendor had been using was the control. And the research partner created a treatment script using a consumer-centric approach to strengthen the value of the product, reduce friction of how the offer was presented and reduce anxiety related to the purchase. All these key findings were identified from the call script analysis and review of recordings. Agents in the treatment group reported that starting the conversation with a question helped to increase talk time. On one hand, callers were more open to staying on the line to provide their opinion, and on the other hand, agents were able to collect information they used to craft rebuttals more effectively. See chart below for average talk time per group. During the test, the research team was able to experience for themselves how agents interact with the script and how it was presented on their screens. The key takeaway was that optimization of the call guide message was as important as its presentation. Similar to optimizing a landing page, the call guide needed to be optimized to support agents’ eye path to properly guide their conversations. The use of color, bullet points and font sizes were needed to remind agents of key product value points and offer structure. Agents needed more product knowledge to craft rebuttals more effectively. It is a common pitfall to assume that people buy the newspaper because they want to read the news. That could be true for some, but not for most subscribers. Newspaper subscribers also get news headlines from TV, radio and social media like anyone. The primary difference is that the newspaper gives them specific types of content (more often it is not in-depth news) that motivates them to subscribe, like arts, sports, crosswords, games or local events, for example. Phone agents lacked proper product knowledge to speak about the paper content properly and in an enthusiastic way. Both vendors use the optimized call guide now. In addition, agents are being trained now to use popular stories currently on The Globe to engage in conversation. “It was more to get the agent to be able to talk about the product, being able to use some of this to actually engage a caller and to talk to the caller,” Greer said. Now the call guide helps the agents provide clarity to customers, so they know exactly what they’re going to get. “It's a channel where you've got a high turnover. So that’s why clear call guides and the proper enablement are so important. They have to learn the product and the offer quickly, so you have to present it in a way that anyone can quickly grasp,” Greer said. “The recommended call guide was really clear. There's a section of it where it introduces the offer and it’s bullet pointed, very clean and very clear. I was listening to a calibration two weeks ago, and the agent was reading the script directly from the call guide. And it was very clear for the customer to know what they were getting. This resulted in a sale,” Greer said. Vendor A — the vendor with high quantity but low quality of calls — ultimately increased SPH 33% over a four-month period. The average sales per hour in the first half of the year was 0.09. After the script changes, the average sales per hour increased to 0.12. Greer continues to update the script, taking a look at what's working and what's not.